So you've found the business checks you need or picked out the perfect personal design. Now you need to top it off with something to keep them covered. 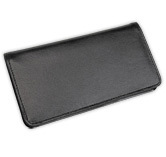 A quality checkbook cover from CheckAdvantage will protect your valuable checks from rips and wrinkles. Many of them will also give you a hand staying organized. And who among us couldn't use a little help with that? 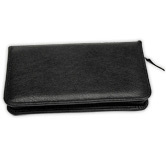 From professional covers designed for all types of manual checks and three-on-page deposit tickets, to a plethora of personal checkbook covers, you'll certainly find the right style. Ordering personal checks? Make sure to check out the matching custom checkbook cover design to make it all match. 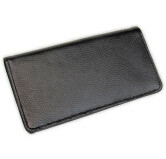 Otherwise, we also offer an impressive collection of standard checkbook covers as well.